After Iran, North Korea Next? Could China lead the way in resuming talks with North Korea? For officials in Beijing, the success of the Iran negotiations is a sign of things to come. The marathon negotiations have paid off. Traditional diplomacy, something that Beijing has previously encouraged, did indeed work. Hailing China’s role in the process, Foreign Minister Wang Yi noted that the comprehensive deal “forcefully upholds the international non-proliferation system.” China’s role in reaching the negotiated outcome was further praised by France, Russia, and Iran. In fact, China did not join the Iran negotiations until March 2015. Still, could the successful outcome – as supported by Chinese involvement – serve as a basis for dealings with a nuclear North Korea? Iran and North Korea do share some similarities – perhaps most notably, patterns of violating international norms on human rights, terrorism, and nonproliferation. Even despite the failures of the 1994 Agreed Framework that attempted to end North Korea’s nuclear ambitions, there are lessons from the Iran agreement that could apply to any prospective arrangement with Pyongyang. Clocking in at eighty pages in length, the finalized agreement is extraordinarily comprehensive in its terms and verification provisions. Negotiated and backed by the permanent members of the UN Security Council, and codified in a UN security resolution, the Iran deal contains much stronger elements to deter cheating and offers incentives to motivate compliance. The failed Agreed Framework was also an international accord – and one that was just as controversial with Congress – but it did not sufficiently account for North Korea’s ability to develop nuclear material through highly enriched uranium. This loophole ultimately led to the demise of the framework, and North Korean withdrawal from subsequent negotiations. Should Chinese officials continue to push for reopening the six-party talks, the Chinese are likely to play an active role in spearheading negotiations given their lips and teeth relationship with Pyongyang. 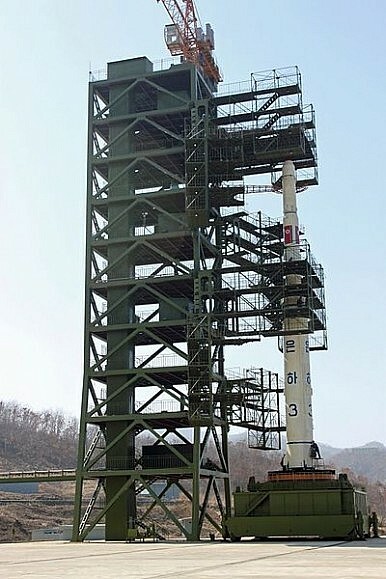 Since taking office in 2013, President Xi Jinping has firmly pushed for an “adherence to the goal of denuclearization of the [Korean] peninsula.” While some Chinese onlookers remain concerned that the door of opportunity in negotiations with North Korea will not reopen, the momentum of the Iran negotiations is an ideal time to consider returning to the drawing board in discussing outcomes of any multilateral agreement concerning Pyongyang. With intelligence sources suggesting North Korea may already have around twenty nuclear weapons, any efforts toward a negotiated outcome will not be without significant challenges and probable concessions. If U.S. and other negotiators are first able to cooperate with Iran in limiting Tehran’s ties to Pyongyang, it is all the more likely the Kim regime will take notice that options aside from returning to the negotiating table are increasingly limited, and few nuclear allies remain for the hermit kingdom. But any Chinese efforts at spearheading negotiations won’t be without challenges. Most prominently, Beijing has long filled an important role as Pyongyang’s benefactor that it will be difficult to renege on. The 1961 Sino-North Korean Mutual Aid and Cooperation Friendship Treaty, promising Chinese military aid to North Korea in the event of an attack, is valid until 2021. China is also North Korea’s largest trade partner, supplying 57 percent of North Korean imports, 42 percent of exports, and the bulk of North Korean oil and gas supplies. As Beijing ponders efforts to reopen the six-party talks, officials must decide how, when, and to what extent cross-border trade flows and economic carrots should be stymied in hopes of keeping Pyongyang committed to negotiations. More significantly, while Beijing has leverage over North Korea it has not yet appeared that the Xi administration is willing to push the Kim Jong-un regime to fundamentally change its behavior. By no means should the agreement with Iran serve as a one-size-fits-all diplomatic remedy to the challenges posed by a nuclear North Korea. But as official Chinese news outlets have noted, it does give reason for small glimmers of hope for resuming six-party talks. Regardless of how active the Chinese may be in encouraging or leading any renewed negotiations, however, it will ultimately come down to whether the Kim regime is willing to be present at the negotiations and, if so, just how much Pyongyang feels it can compromise without sacrificing its legitimacy. Evaluating China's likely response to the policies advocated by U.S. hawks, doves, and "boas."